Anything4Free by Wesley Downey, found at anything4free.com, has already been submitted for review. If you would like to see a review of Anything4Free, simply add your vote on it using the following link: Add Vote for “Anything4Free“. Then click on the “Vote For Review” button. When enough votes have been accumulated, we will start the business research process and get a review of “Anything4Free” completed a soon as possible. 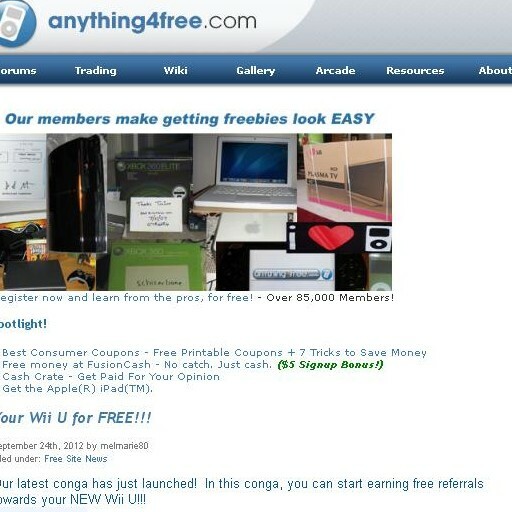 If you have any experience with “Anything4Free”, good or bad, we want to hear about it. Go below and submit your own review to let others know about it.